CPA is another form of affiliate marketing. In affiliate marketing, there are a lot of ways to make money. The most popular is by simply promoting someone’s product. This is how most Internet Marketers started. If they click your link, and they buy, you get a commission. An alternative method, or as a step up, is by joining one or more CPA networks. CPA stands for “cost per action” and while it may involve getting someone to buy, it also might just involve getting someone to submit an email address or sign up for a free trial of a subscription product. Cost Per Action means that your reader just take a specific action. It is a form of advertising generated by a third party in which you are paid for hosting or promoting that party’s ad or link. You might now wondering, how does it work? Well, it sounds remarkably like affiliate marketing, doesn’t it? But there some vital differences. First of all, both rely on internet marketers to promote their products. The biggest different between the two lies in CPA emphasis on its affiliates generating leads, rather than sales. It’s usually less labour-intensive. You don’t have to do the sort of ongoing promotion affiliate marketing needs. And in case you have been wondering what I mean by “generating leads”, that means having site visitors act by filling out a form with some sort of personal contact information. In my next post I will go into more detail in how you can get started promoting CPA offers. 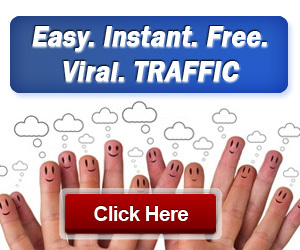 Its a little more involved than getting started with simple affiliate Marketing.